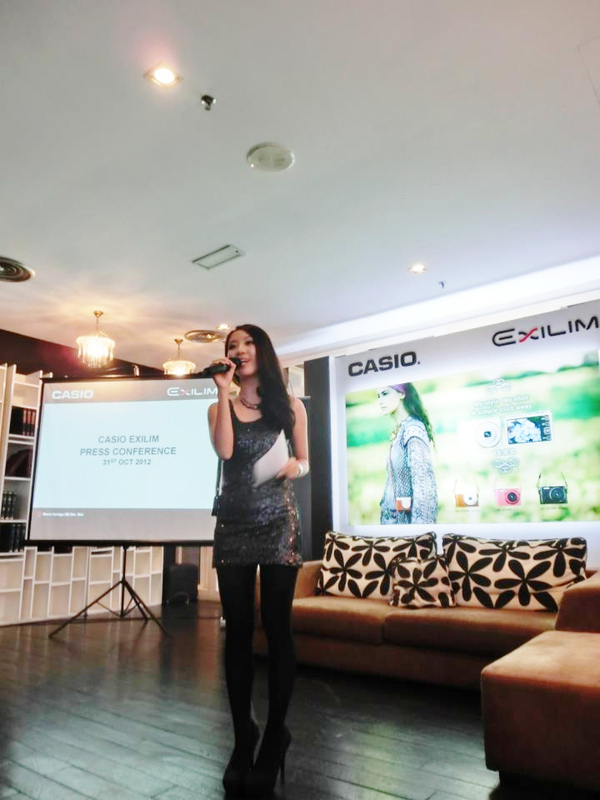 Remember my previous post about emcee-ing for the Casio Exilim Press Conference? Well, Casio was really kind to sponsor me with the super gorgeous Casio Exilim JE-10! The Casio Exilim JE-10 series. Available in Pink, Black & White. What's most special about this camera is definitely the outlook of it. It comes with a detachable camera case with strap, and each color has a different theme to it! Comes with a leather case & adjustable strap too! Another major plus point for the JE-10 is that it is really small in size. To demonstrate, I got Boon to do a little illustration with me. 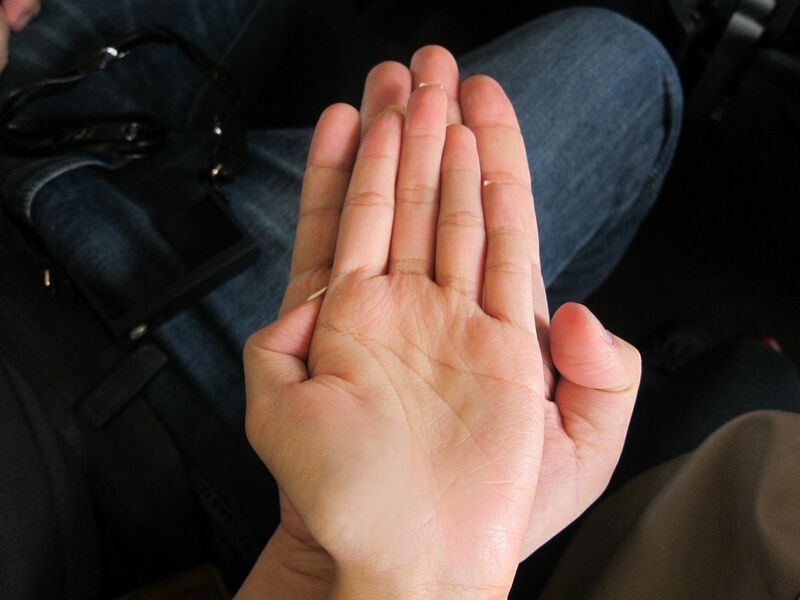 You see, yours truly has really small hands, and my hand can basically fit nicely into Boon's palm. 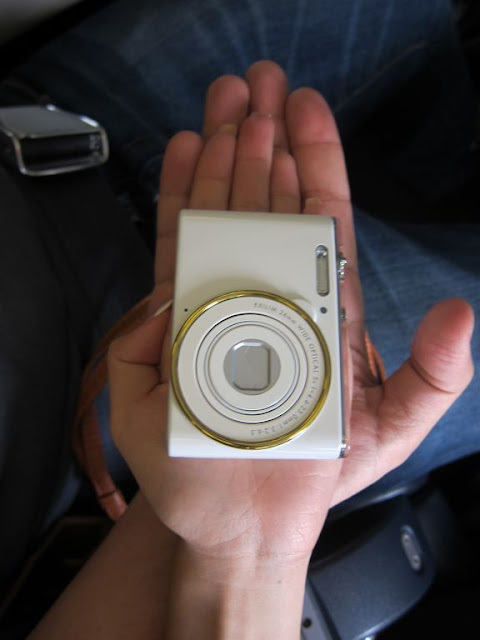 Hahaha that's how small my hands/palms are. 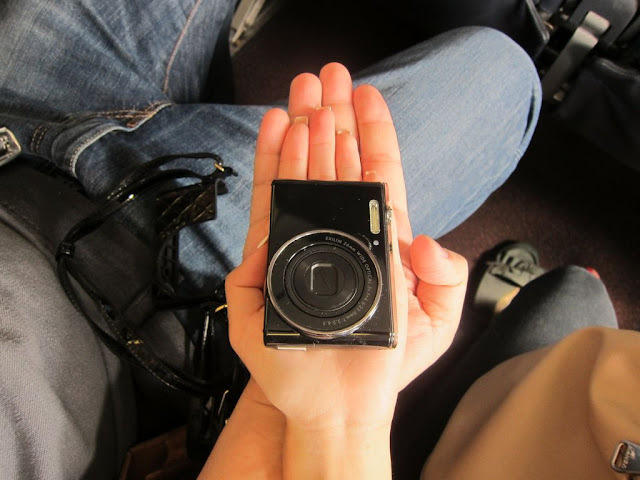 And if the JE-10 can fit right onto my palm, it really just shows that the JE-10 is thatttttt small! Look! This is really perfect for us girls who have a thousand and one things in our baobao/bags. With the strap attached, it becomes easier to search for the camera in our bags too! While this is the JE-10 in white. It comes with a brown leather casing, and I've gotta say that this is my favorite amongs the three! It has a golden ring around the lens, and gives an overall natural, vintage look. 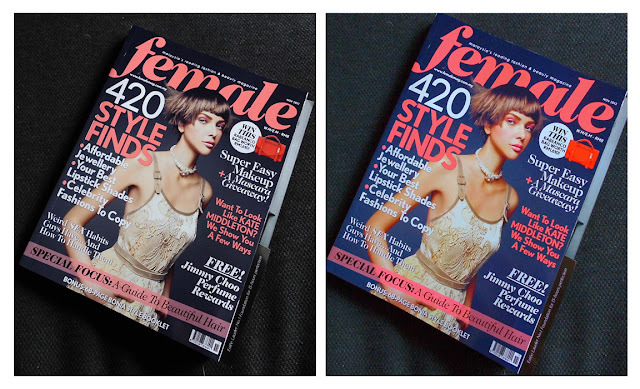 Suitable for those who have a simple/vintage style. It's small even with the case on! These are some of the pictures I captured over the past few weeks with the JE-10. With the Premium Auto mode which is able to detect which suitable setting to be used to capture the photo. This was taken with the Premium Auto mode as well. 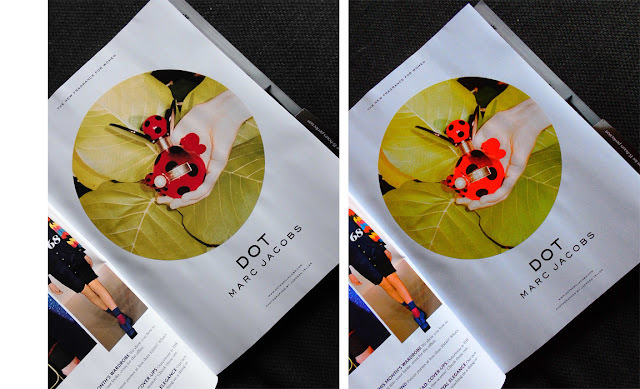 It also has a couple of Best Shot features such as the Toy Camera mode, Light Tone, Pop, etc. My favorite mode of all has to be the Toy Camera mode. Gives a lomo-ish feeling to the pics! Gives the photo a little dreamy feeling. The colors immediately pops out distinctively! Of course, what is a girly camera without the famous Casio Exilim feature- The Makeup Mode! You can see the difference from the left photo (without Makeup Mode) to the right (Makeup Mode). This photo was also captured using the Self-portrait timer which is able to detect when you're ready for a picture. It'll only capture the photo when you're in frame. No more out of frame selca (self-capture) shots! The JE-10 is also a really pretty fashion accessory! This was me walking on the streets of Ubud, Bali. You would think that the camera would cost a bomb, but to my surprise, it is retailing for only RM649! It is design, quality and convenience all in one, and I personally think it is a great steal! you should review that the camera could be charge using the power bank too. :) so whenever the battery died, just charged it like charge ur phone!